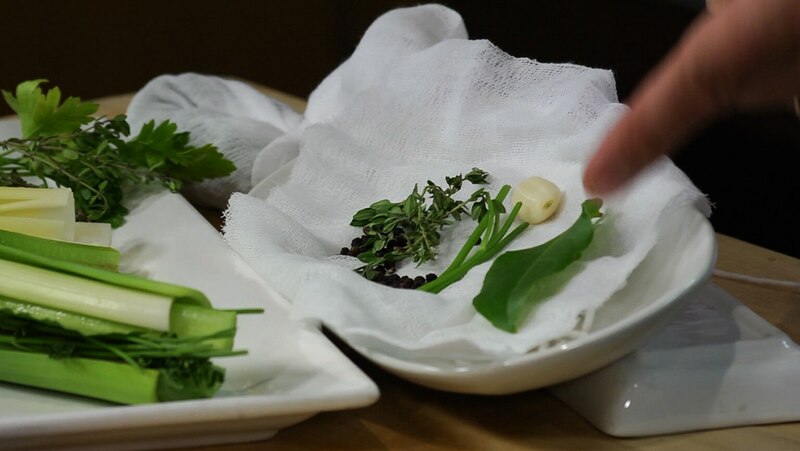 Continue learning about how to create the perfect kitchen setup (mise en place). First, learn how to make sense of a range of different pots and pans. Then, find out the importance of hand tools such as whips, tongs, spatulas, box graters, and meat thermometers. Finally, see some of these tools at work as you go step-by-step through a recipe for vegetable ratatouille. Add a regular pair of scissors. Kitchen shears have trouble with the light plastic bags ingredients come in.